The garden is at its peak, and long days offer ample time for picking fresh flowers and sun-ripened produce. Some plants thrive as summer heats up. If your perennial beds lack color, try a few of these plants that flower through sweltering August afternoons. All are drought-tolerant once established. Black-eyed Susan (Rudbeckia spp.) brightens the garden with cheery yellow blooms perfect for cutting. It’s a good choice for a wildlife garden. Flowers beckon butterflies; seed heads are a goldfinch favorite. Russian sage (Perovskia atriplicifolia) unfurls silvery foliage accented with lavender blooms. Plants are deer-resistant. Threadleaf tickseed (Coreopsis verticillata) opens daisylike blooms in shades of yellow, white, or pink. Low-maintenance plants have fine foliage and open flowers steadily until frost. Yarrow (Achillea) sounds a steady note of drought-resistant color in the summer garden. Look for flowers in many shades, from white, to red, to peach, to yellow. 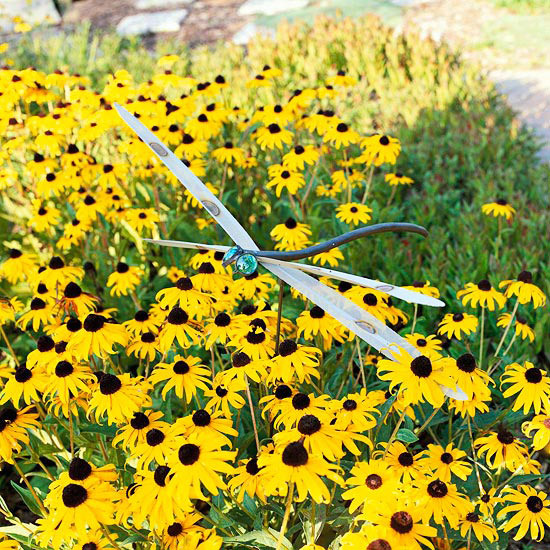 Test Garden Tip: Even the most reliable summer bloomers stage a stronger show when you faithfully remove faded flowers. Water plants a few hours before applying pesticides, especially during times of drought. In these conditions, plants have less water in tissues, and as pesticides enter cells, they may burn leaves. 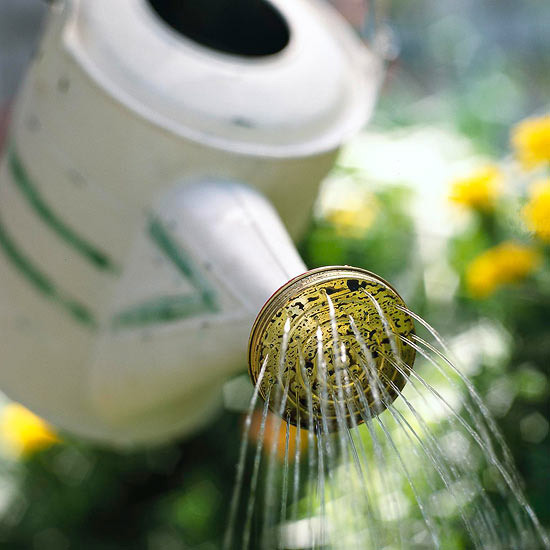 Avoid watering during midday, when more water will evaporate than soak into soil. It’s not uncommon for plants to wilt on hot afternoons even though soil has adequate moisture. The wilting occurs because plants are losing water faster than their roots can absorb it. Leaves should revive by early evening, after the sun is no longer directly on leaves. If not, water deeply. Some shrubs need weekly deep watering now. Rhododendrons are beginning to form flower buds for next year’s show, and adequate water is vital. Fruiting plants, such as hollies and firethorn, need water to ensure berries mature and don’t drop. Test Garden Tip: Water newly planted trees, shrubs, and perennials — any plants you added to your yard last fall or spring. These plants need weekly irrigation to ensure roots establish deeply. 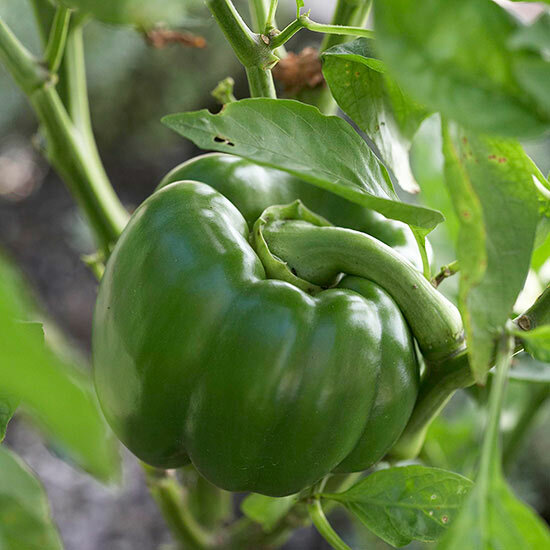 Peppers: Pick peppers at any stage of development. The longer fruits stay on a plant, the more intense flavor becomes — sweet peppers grow sweeter, and hot peppers develop a stronger burn. Herbs: It’s best to pick herbs before they flower. Harvest herbs on a dry morning, after dew has dried. The exception is mint, which you want to pick at midday, when essential oil concentrations in leaves are greatest. Avoid harvesting herbs following a rain, when foliage is wet. Tomatoes: Even though tomatoes continue to ripen after picking, fruits develop greatest flavor when allowed to ripen on plants. The exception is cherry tomatoes, which are prone to splitting. Pick these tasty morsels as soon as fruits start showing color. Fertilizing roses. 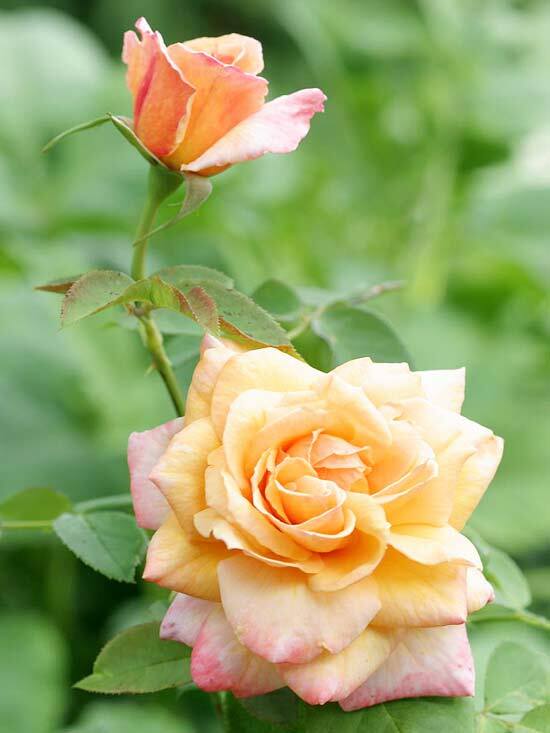 Stop feeding roses this month so that growth can harden sufficiently before killing frost arrives. This will help reduce the amount of winter kill. Pruning evergreens. As August arrives, put away the pruners as far as evergreens are concerned. If you prune now, you risk plants pushing new growth, which won’t harden off and will be killed during winter’s chill. Ignoring zucchini. Daily inspections of squash vines are a must. In August heat, small, tasty fruit can transform into inedible baseball bats overnight. Composting weed seeds. Unless your compost pile gets hot enough to kill seeds, it’s best to destroy weeds with seed heads. If your town has a community composting facility, place seedy weeds at the curb. The community compost will be hot enough to kill seeds. Pull annuals that are past their prime and aren’t likely to recover. Cover bare soil to deter weeds. Take cuttings of plants you want to overwinter. Choices may include fuchsia, scented geranium, coleus, or wax begonia. Stick 3- to 4-inch green stem cuttings in soil. Place pots in a shaded spot, and keep soil moist. Make sure mower height is raised so you’re cutting grass higher. When grass is taller, it shades soil beneath, which reduces water evaporation from soil. Taller grass generally has deeper roots, which helps it withstand drought better. September is peony planting time. That means August is the month to order peony roots. 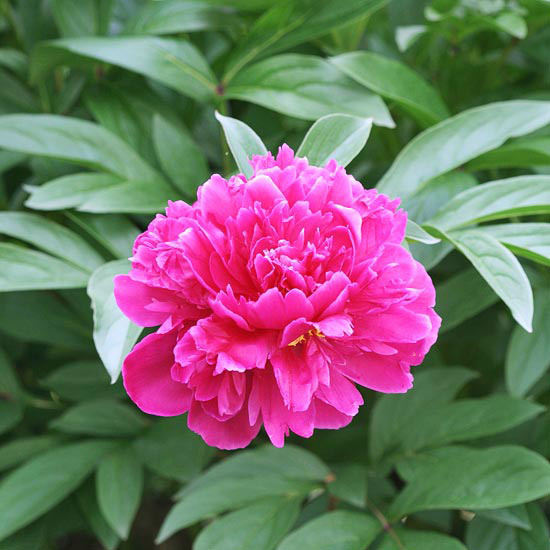 You should have peonies in the ground about a month before the average first frost date.